It sounds counter-intuitive but giving people an option to UNSUBSCRIBE from your email can actually increase the value of your list. I signed up for Groupon a couple weeks ago. Pretty neat company. They send out regular deals for metro areas around the US. But it seemed like I was getting a deal a day and I was starting to get overwhelmed by them. So I unsubscribed from their newsletter. Why? Because they made me laugh. Let me explain. When you click it a guy walks around the corner, starts yelling and throws a cup of liquid in Derrick’s face to punish him. Caught me off guard I might say. Big time. But you know what? When the message came up and said “That was pretty mean. I hope you’re happy. 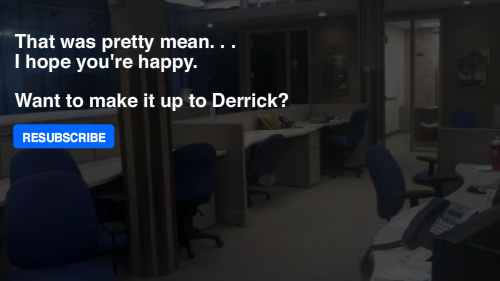 Want to make it up to Derrick? Resubscribe.” I clicked resubscribe. 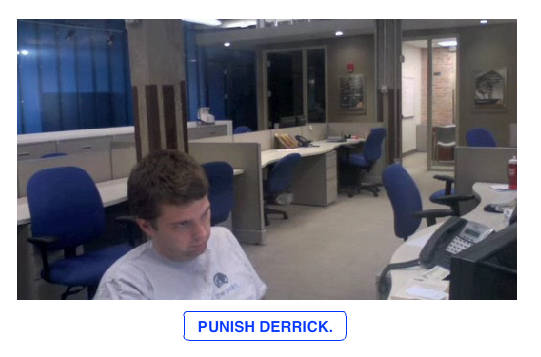 This was obviously a staged video that has nothing to do with me personally and yet – I felt guilty for putting Derrick through his punishment. And Groupon kept me as a subscriber. You can see the video for yourself here. By the way – don’t do this for your company. It’s probably not a good fit. Just saying. This is the small link at the bottom of an email that literally says unsubscribe. When your business uses automated software to manage your email subscribers this is automatically part of the message. Many marketers resent having to give prospects the option of opting out of email newsletters. But I think it is a good thing for your business. First, you are staying compliant with the laws. In the United States we have very specific laws governing email spam. By having an easy way for your readers to unsubscribe you are keeping your company compliant. And even if it wasn’t the law, it makes sense to remove prospects from your list who don’t want to hear from you. Email marketing is very inexpensive, but there still is a cost to managing and sending large amounts of email. By clearing out subscribers who are never going to buy from you, your business will be able to that much more target the leads that will. If you notice on our main Folk Media site we make if very clear that you can unsubscribe from our list at any time. This puts our subscribers at ease knowing that they have the option to cancel their subscription if we stop providing them value. But there is another subliminal message that this communicates to yourself and staff. You had better “provide the goods” and deliver value or you won’t keep your subscribers. And your subscribers are very important to your business. They are the lifeblood of your online marketing. Second, make sure your email service provider has a link at the bottom of your emails making it very easy for folks to opt out. « Think You’re Done With That Blog Post? I Think Not.